For the better part of 2013 / 2014 Ed Kuepper toured the nation performing his crowd-pleasing ‘By Request’ show in city centres and regional towns culminating in a sold-out performance at the City Recital Hall for Sydney Festival, whereupon our Ed assembled various members of the Sydney Chamber Orchestra for a once-in-a-lifetime radical re-working of Kuepper Klassics. For his first tour of 2015 Ed Kuepper will again tackle any industry pre-conceptions, this time though, performing a set of largely new and as-yet-unrecorded material for a tour being dubbed Nostalgia For The New. And, in a further twist to the norm, Herr Kuepper will undertake the tour via a 3-week-mid-week residency in Brisbane, Sydney & Melbourne with spin-off weekend shows in regional areas. The new material is being workshopped with the intention of recording a new album of all new studio material – his first since the wonderous Jean Lee and the Yellow Dog – before the end of the year. However, with each show being upwards of 2 hours long and without a support, our Ed has graciously allowed some of those back catalogue gems to be included in the set(s) too. But wait, that’s not all, in between times, the nation’s first true Saint has also been busy putting down his first full-length soundtrack for the feature film Last Cab To Darwin. Directed by Jeremy Sims and starring Michael Caton, Last Cab… will premiere at this year’s Sydney Film Festival. 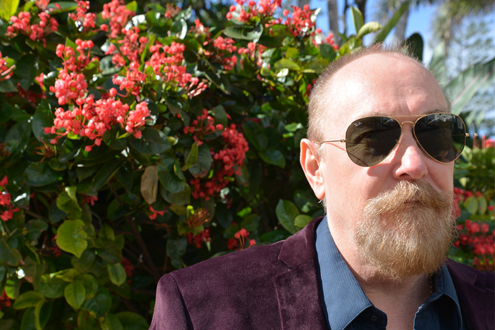 In the meantime get ready to lock in your mid-week winter kicks with Ed Kuepper as he sweeps down the east coast on his Nostalgia For The New tour this July. Tickets for all shows on-sale Friday 22nd May.